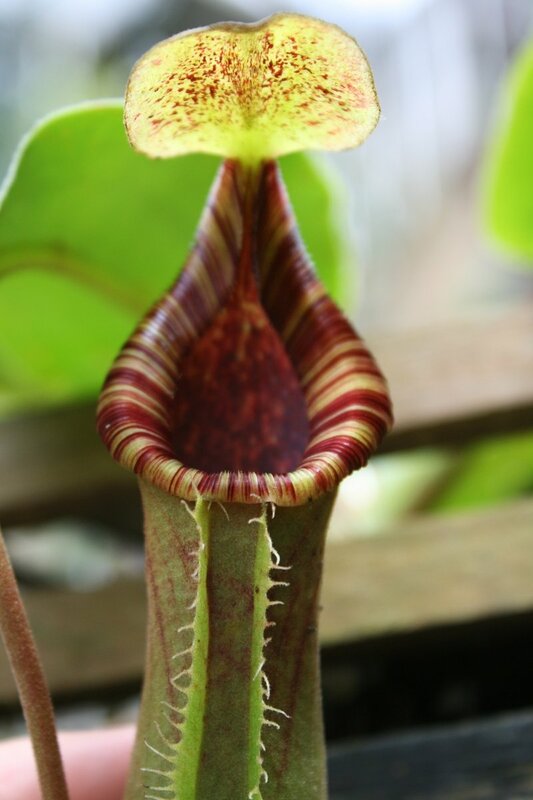 Tropical pitcher plant is a meat eating plant. They are also called Nepenthes and there are about 120 species of them. As opposed to the cooler-climate American pitcher plants, the tropical species is found in South-east Asia. They are most numerous in Sumatra and Borneo, but are found in countries like Indonesia, the Philippines, Malaysia, southern China, as well as New Caledonia, Australia (Cape York), Sri Lanka, India, Seychelles and Madagascar Island Rainforest. They live in the areas with high humidity and they mainly eat insects and spiders, but occasionally also larger animals such as centipedes or small lizards.